On paper this match was a potential dangerous match for Roger but on court it was a different story. For most of the match this was one way traffic, all Federer. 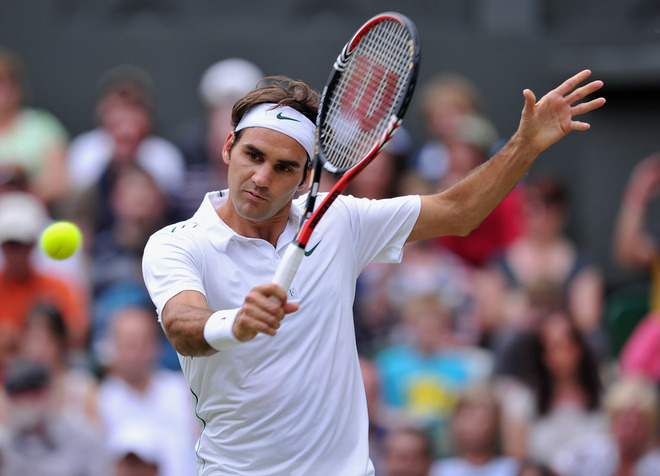 6-4 6-2 6-4 in favor of the six time champion and he is thru to the fourth round at the Championships, Wimbledon. We will see Roger next most probably on Monday unless rain changes the schedule. His next opponent will be either Nicholas Almagro or Mikhail Youzhny. Visit WatchLive Monday morning (unless schedule changes to allow play on the middle Sunday) to access live streams to watch all the matches. Check out the Wimbledon 2011 photo album at FedererFan ZeroSeven on Facebook. Follow @FedererFan07 on Twitter for instant updates.